to the escape hatch! : Favorite Scene Friday! 127 Hours: "I need help!" Favorite Scene Friday! 127 Hours: "I need help!" All this month we'll be looking at the last decade of films nominated for the Academy Award for Best Picture. 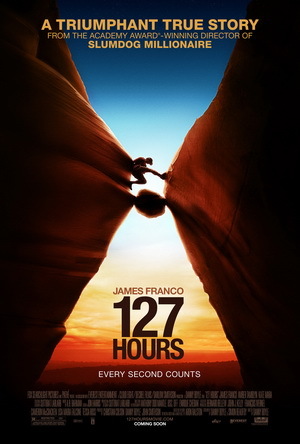 As an alternative to last month's examination of escapism, fantasy, and sci-fi, let's talk about everyone's favorite "gotta-cut-your-arm-off-to-live" movie 127 Hours. The film is the true story of Aron Ralston, a young canyoneer. While on a solo hike one day, Aron became trapped, his arm pinned under a boulder. 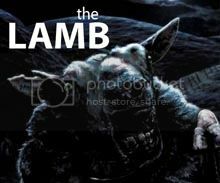 What follows is his story of survival, the film's title referring to how long he was stuck. The film was nominated for Best Picture in 2010, losing out to The King's Speech. Star James Franco was nominated for Best Actor (losing to Colin Firth for The King's Speech). Oddly enough, Franco co-hosted the ceremony that year. Director Danny Boyle wasn't nominated, but he won two years prior for Slumdog Millionaire. Franco is phenomenal in this scene, and the film as a whole. I'd venture to say it's his best performance, although I now realize I've seen very little of his work (for every Your Highness I've seen there's a dozen films like King Cobra I've yet to watch). Take the little smile when he sees the cliff painting. Or the very human moment when he takes off his shoe. His cries for help are very real as well and I appreciate that "I need help!" (the most vulnerable and humble way to ask for assistance, if that makes any sense) is what gets folks running to his aid. Between Franco, Boyle (the crazy SnorriCam shots alone are great), and Sigur Rós (his track, "Festival" plays over most of this scene), Ralston's escape is transcendent. I would be remiss if I didn't mention how emotional this scene makes me. Ralston's cries for help, and the family running towards him (paired perfectly with "Festival") really get me. I love that helping Ralston becomes kind of a team effort, and his determination to keep going is admirable. All of this is capped with a great, weird ending. Anytime an actor portraying a real person stares at said real person from a swimming pool, you know you have something special. Sorry for the poor quality of the clip. What's your favorite scene from 127 Hours? What do you think will win Best Picture at this year's Oscar's ceremony?